Of all the public pronouncements I heard today at the start of the March For Our Lives, one of them stands out foursquare in front of the rest of them. “We are not anti-gun!” came the proclamation from an elevated stage calling the crowd to order as the march was about to commence. It came from one of the student organizers who had rallied hundreds of Texas Panhandle residents, summoned them to Ellwood Park, where they would take their march through downtown Amarillo, Texas, to the Potter County Courthouse grounds. 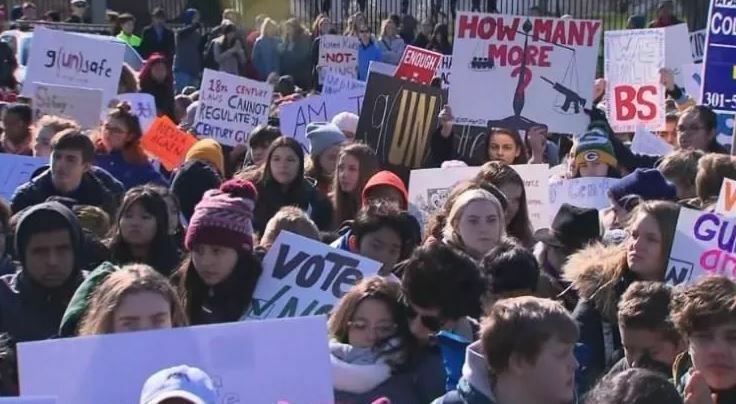 The March For Our Lives took places in communities throughout the United States. It was spawned by the Parkland, Fla., high school slaughter of 14 students and three staff members at Marjory Stoneman Douglas High School. The “We are not anti-gun!” proclamation reveals a certain sophistication among the students who organized this march. The Texas Panhandle students clearly know the audience to whom they are preaching. They want an end to gun violence. They do not intend to argue for the confiscation of firearms. They know better than that. Texas Panhandle residents take their Second Amendment rights seriously. Well, at least a lot of them do. Thus, the March For Our Lives organizers sought to tell the marchers — and some onlookers who had come to Ellwood Park — about their intentions in staging this march. They want “common sense” legislative remedies that assure that the Second Amendment remains viable. They say they have no intention of lobbying for repeal of the amendment. They want to assure the right to own firearms remains written in our nation’s government framework. I haven’t yet heard of any proposed solutions that deny Americans the right to possess firearms. I also applaud the organizers of our local event for making clear that they intend to retain that right. They simply have seen too many young people — just like themselves — gunned down while they are studying in school, a place where one can presume they would be safe. They aren’t. The students who marched today want our politicians to do what they to ensure safety and to end the national scourge of gun violence. They have done well in limiting the Indivisible platform to a pragmatic statement that can get into people’s brains, through the “first pass” filter. Hero emerges from Russia matter . . . honest!